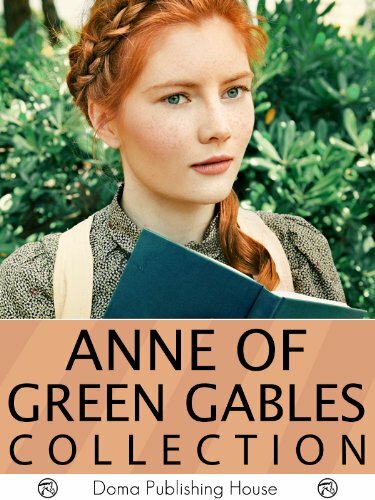 Doma Publishing presents to you The Anne of Green Gables Collection, which has been designed and formatted specifically for your Amazon Kindle. Unlike other e-book editions, the text and chapters are perfectly set up to match the layout and feel of a physical copy, rather than being haphazardly thrown together for a quick release. This edition also comes with a linked Table of Contents for both the list of included books and their respective chapters. Navigation couldn't be easier. Note: This Series is missing Anne of The Ingleside and Anne of Windy Poplars. Unfortunately, the rights for these two books aren't yet available for Kindle publishing. To make up for it, we also included Bonus Books of Pride and Prejudice by Jane Austen, and Call of the Wild by Jack London. Enjoy! Thank you for choosing Doma House Publishing. We look forward to creating many more affordable Kindle Classics for you to enjoy! If you blog about this giveaway on either the 3rd or 4th of June, you will earn 10 entries in the giveaway. An option has been added for blog post entries from the 5th to the 8th to earn 5 entries. If you would like a ready made post, copy the text at the following link and paste it into your blog's HTML editor. If you would like to put together a custom post, you are more than welcome to, but I don't have any extra material to provide at the moment. This tour, after all, is kind of last minute. If you choose this option, please include info about the above book. I will be checking the winning entry, and I will be happy to choose another winner if the first entry doesn't meet basic expectations. If you haven't already joined my network (crew) of bloggers interested in hearing about future blog tour opportunities, you may do so HERE. FYI: you won't receive an email about this tour. Those emails have already gone out.